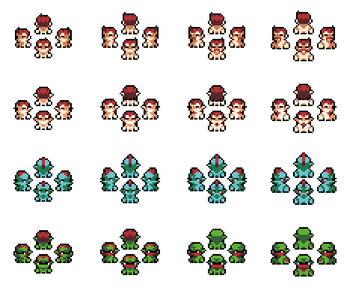 Tiny, Tiny Heroes - Base Pack is a set of minimalistic bases for your heroes and heroines, friends and foes, armies and individualities - anything you need just a few pixels away. With minimal effort create sharp and original characters for mobile, web and PC games ranging from platformers, through RPGs and rougelikes to strategy games. 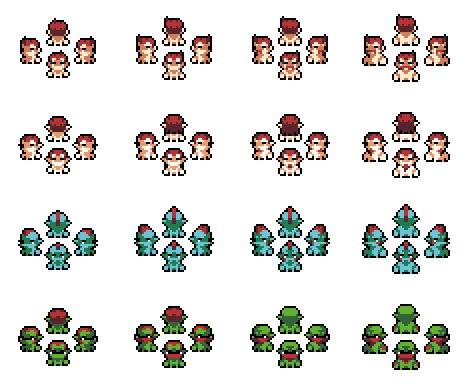 * Star-marked animations use a single frame, possibly in combination with frames from other animations. That was what I'm looking for, but can you do a non-tiny version?